DIY Home Improvement and Projects | LRN2DIY – Do It Yo'sizzelf! LRN2DIY is all about empowering you to take on new projects that you never thought you could. Whether it’s a simple fix around the house or building something creative and fun, we want to show you how you can do it yo’sizzelf! DIY Projects Can Be Here's What We've Been Up To. Want to Learn 3D Printing? 3D Printing opens new doors for DIYers. Learning some of the basics and avoiding the mistakes others have made is easier than you might think. 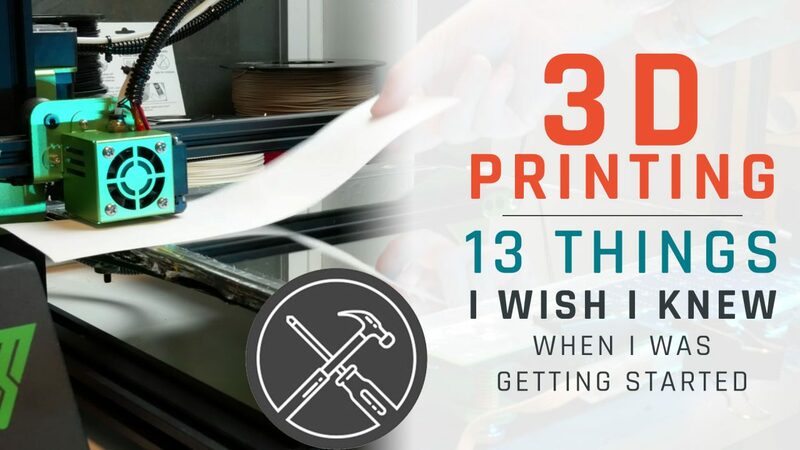 Did you know that you can get started with 3D Printing for less than $200? Head on over to our new site, www.The3DPrintingZone.com for videos and tutorials to help you along your way. LRN2DIY is my place to share what I’ve learned and learn from others. I’m a husband, father of four and a maker. I work in software engineering by day and am a passionate hobbyist on the side – learning about home improvement, woodworking and 3D Printing.